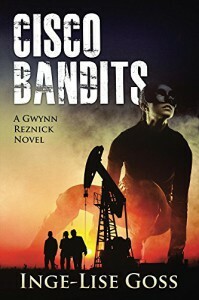 “Cisco Bandits: A Gwynn Reznick Novel” by Inge-Lise Goss is a gripping thriller with a well-chosen heroine. Gwynn thinks fast on her feet and although new to her job as investigator she is resourceful and works her way through the investigation nicely. The plot throws a few surprises, always keeps you on your toes and the suspense is held throughout. Murder, blackmail, deceit and romance are some of the great ingredients in the mix. An excellent start to a promising series with a great heroine. Hugely enjoyable.